In 1947 an object crashed to the ground near a ranch in New Mexico. The object was officially stated to be a United States Air Force Balloon by the United States Military. This was generally accepted until the 1970s when a variety of Extra Terrestrial related theories began surfacing. The Rancher who saw the crash, William Brazel, is reported as saying that indestructible metal no wider than tinfoil was found with strange markings etched upon its surface. The writings/etchings were in different colors with different geometric patterns. Brazel came under severe pressure from government officials. A column written by the current local newspaper at the time ran with the headline “Harassed Rancher Sorry he ever told about it”. It was not only Brazel who noticed the disk. 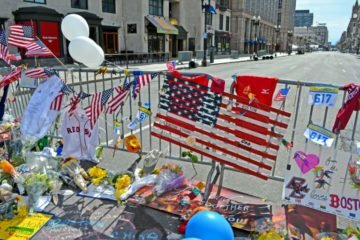 A number of people have claimed to have seen debris from the flying object strewn over a wider area. An issue with old conspiracy theories such as this is there is little in the way of verifiable information. There is also a shortage of data itself, given that the internet was not available at the time. The Roswell Incident of 1947 is largely accredited with being the first publicized encounter between the American people and UFOs. As the theory goes, Project Mogul was a military espionage project which used high altitude balloons in order to listen for sound waves from Soviet testing on Atomic bombs. Brazel had previously found such wreckage on his ranch, which is why he was so sure that the Roswell disk was not a Weather Balloon. Brazel stated that what he saw was definitely not a weather Balloon. The obvious theory that emerged from the Roswell incident was that the flying saucer was an Alien spaceship. There are many branches which spring from this theory. One theory is that the flying saucer was an Atomic Bomb. This theory was proposed by well known UFO theorist Jun Keith. The underlying rationale for the cover-up was that the government did not want the Soviets to know that they no longer had a supply of atomic weapons, and also that the accidental dropping of an atomic bomb would have led to a negative public reaction. It has also been proposed that the UFO was a plane manned by Chimps. There is no evidence of chimps in relation to the Roswell incident. Another theory surrounding the incident was that the disk/balloon was, in fact, a time machine. 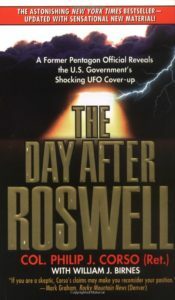 Philip J. Corso and William J. Birnes wrote a book titled the day after Roswell which documented that Corso helped the US government to sell the advanced technological machinery to Corporations. It is claimed in the book that these technologies later led to fiber optics and microprocessors. Corso believed that the “aliens” on board the spacecraft were humans from the future who were genetically engineered to withstand spaceflight and that the Earth was at war with the Extra Terrestrials until Regan defeated them in the 1980’s. 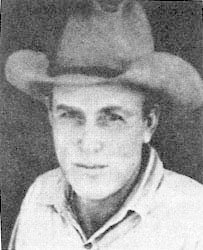 Ufologist Nick Redfern proposed that the Roswell incident was a result of a crash between an experimental test flown aircraft. The first contained deformed Japanese prisoners of war which had been suffering from progeria and radiation poisoning. The second plane was struck by lightning and was an aircraft affixed to a Balloon, based on a Japanese design. The Japanese prisoners of war were allegedly taken from area 731, an area where the Japanese performed biological experiments on subjects. What US forces were doing with these topics is never explained by Redfern. In 1995 a businessman (Ray Santilli) from London released footage of an Alien autopsy performed in Roswell in 1947. This was quickly ridiculed and pulled apart, and the producer of the film later admitted that it was a fake, but insisted that real footage was out there. Glenn Dennis claimed to have walked into an examination room in 1989, where he saw three doctors huddled over a number of small, bald, childlike Aliens. One of more far out theories that emanated from the Roswell incident came from Redfern. According to Redfern, the wreckage was created by satanic demons in order to trick humanity into thinking that Extra Terrestrials had landed when in fact it was the arrival of the demons. Redfern also believes that all UFO abductions are cover ups for demons who are wreaking havoc on our souls. He also claimed that the aliens in the Santilli footage were suffering from Progeria, the same video that Santilli later stated was fake a year later. 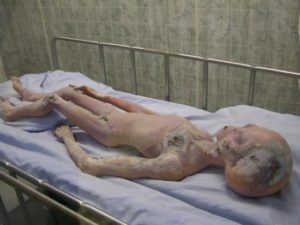 There are numerous individuals who claim to have seen alien bodies being tested or transported by the Military. These include Glenn Dennis, Jim Ragsdale, Miriam Bush, Gerald Anderson and Barney Barnett. Alien bodies are typically described as being small with no hair and large heads. 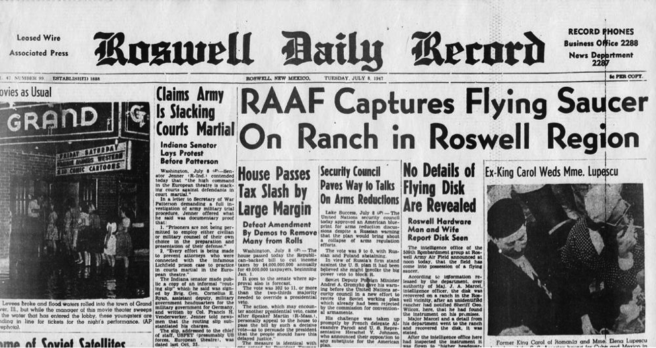 While the vast majority of conspiracy claims are false, one piece of information arousing suspicion is that the initial press release from the Roswell Army Air Field indicated that the wreckage of a crashed disk had been recovered. 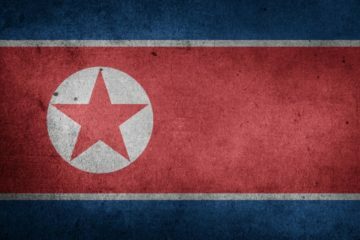 A second Press Release issued the next day by the military stated that the crashed disk was, in fact, a weather Balloon which was mistakenly identified as a disk. Did a flying Saucer Crash in Roswell in 1947? Possibly. All the theories which emerged from the Roswell incident are far flung with little evidence. As with 99% of these arguments, there are unexplained actions on behalf of the authorities, and there is quite probably more to the official story than meets the eye. However, there is no evidence to back up any of the emerging theories, from flying chimpanzees to time machines.